ChrissyAi: The Monday Blues Blog Hop! 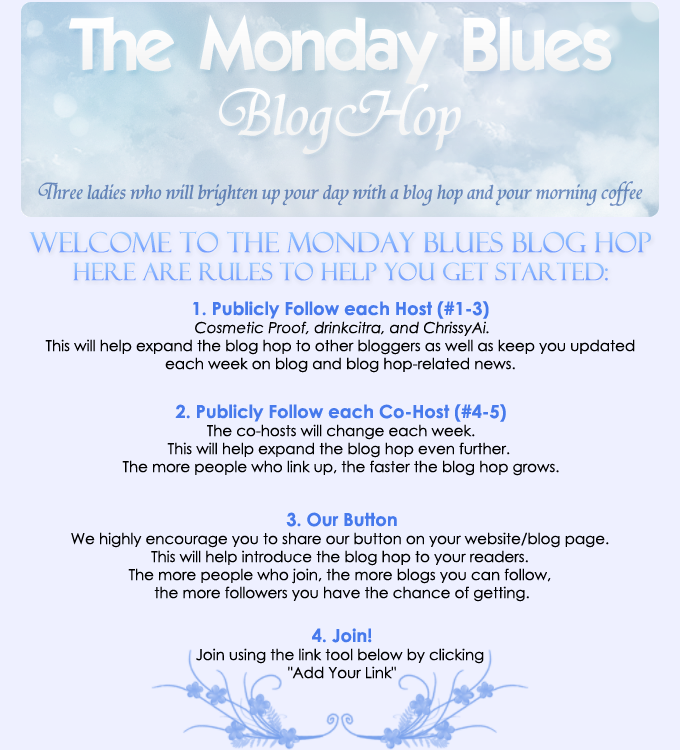 Welcome to the third Monday Blues blog hop! This week's co-hosts are Ellie of Ellalogy and Bea of DailyLivingInGeneva! Thank you both for joining us! Knew your site thru blog hop! new follower ;) hope you can follow back and check my blog <3 thanks! New follower from the Blog Hop. I love reading great reviews on great products so I know I'll love your blog. Thanks for hosting!